Prime Minister Voreqe Bainimarama told the Global Climate Action Summit just what the ocean meant for a country like ours. 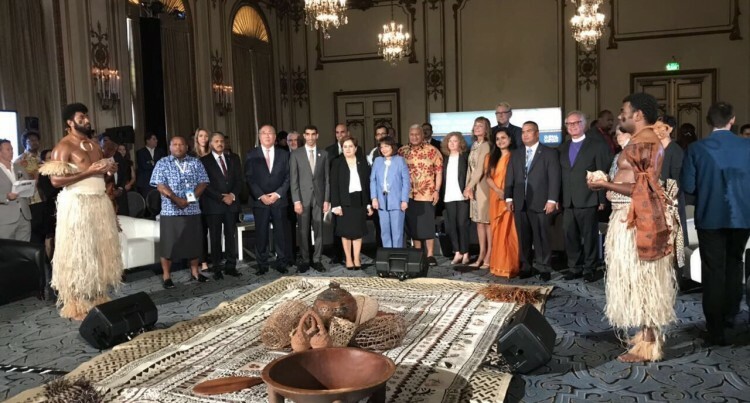 “For Fijians, and for all the people who live in island states, the ocean is everything,” Mr Bainimarama told the gathering during the High-Level Session on ‘The Ocean-Climate Challenge’ at Moscone Centre, San Francisco, yesterday. “It envelops us. It sustains us. It defines and inspires us. And it also can threaten us. And when we sit fully exposed and defenceless before Category 5 cyclones, with no land mass to serve as a brake on the wind, we are frankly petrified, he said. “All of this is a part of daily life, especially if your home is a small island,” Mr Bainimarama said. “So you can imagine, ladies and gentlemen, that when we see that in some quarters there is no sense of urgency to solve this crisis, we feel betrayed. “And yet we are determined not just to survive, but to conquer. “2018 is the year of Talanoa. All around the world, people are coming together under the Pacific concept of respectful and blameless engagement, to speak honestly and openly about their successes and challenges, to share ideas and solutions, and to learn from the stories of others.